An OLED display (OLED stands for Organic Light Emitting Diodes) is made from organic thin films that emit light when electrical current is applied. OLEDs are emissive displays that do not require a backlight and are thinner, brighter, more efficient than LCDs - and they also provide the best quality images with great contrast, colors and viewing angles. One of the main advantages of an OLED display is its simple design - which enables the production of flexible, transparent, foldable and even rollable and stretchable displays. OLED displays are truly the future of displays! Where can we find OLED displays today? Smartphones: OLED displays are used by the world's most popular smartphones, including Apple's high-end iPhones, Samsung's Galaxy phones and many others. See a complete list of OLED smartphones here. 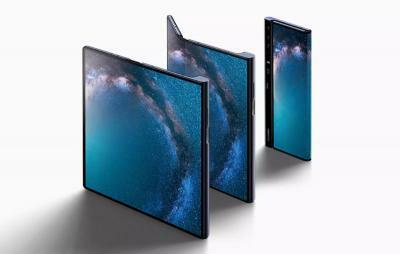 2019 will also bring us the first foldable smartphones that open up to a tablet-like device. Wearables: Many wearables use OLEDs and take advantage of the thin form factor and high efficiency of OLED displays. Apple Watch, Samsung's watches and Huawei's fitness band are just a few examples. Televisions: OLED TVs (produced by LG, Sony, Panasonic and others) are considered the world's best TVs. Tablets and laptops: Some high-end tablets and laptops are now starting to adopt OLED displays as well. Where can I buy an OLED display? An OLED display can be a great choice for your next device - whether you need a small character-type PMOLED display or a smartphone size high-end flexible OLED panel. OLED-Info's OLED Marketplace is a free online tool that allows you to browse dozens of available OLED displays - simple PMOLED displays (for wearable and other devices), AMOLED displays, flexible OLEDs and OLED Microdisplays. If you need any assistance with finding the right OLED display or securing a supplier for a specific OLED, let us know and we will be happy to help.